All 7 Indian Regional Navigation Satellite System satellites will be at a height of around 36,000 km, taking a whole day to circle the Earth. 3 of the satellites will be placed over the equator, in what is known as the geostationary orbit, where they match the Earth's rotation and therefore appear from the ground to remain at a fixed position in the sky. The remaining 4 satellites will be in pairs in two inclined geosynchronous orbits. From the ground, these satellites will appear to travel in figures of ‘8’ during the course of a day. The project to establish the Indian Regional Navigation Satellite System at a cost of Rs. 1,420 crores was approved by the Government of India in 2006. The primary service area for the system covers India and up to 1,500 km beyond its borders. The system “is expected to provide a position accuracy better than 20 metres in the primary service area,” according to an ISRO brochure. However, the space agency’s technical personnel believe its actual performance is likely to be better than that and match single-frequency U.S. GPS receivers’ position accuracy of about 15 metres. 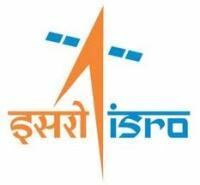 The first of the Indian Regional Navigation Satellite System satellites is scheduled go into space aboard the Polar Satellite Launch Vehicle on July 1.